We will provide affordable, quality plans and organise approval with fast, friendly service. Newcastle's best Building Designers, servicing the Newcastle, Lake Macquarie, Maitland, Cessnock, Port Stephens, Central Coast and Northern Sydney Suburbs areas since 1994. A bit confused? Should you see a builder first, or organise the plans first? What are you allowed or not allowed to build on your property? How much will it all cost? 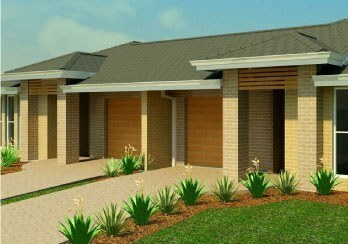 Click here to find out where to start, the steps involved, and how we make the process easy for you to turn your dream into plans approved by Council and ready to be built. Mark has a degree in Bachelor of Science (Architecture) from the University of Newcastle and over 15 years experience in the industry. Mark is also a member of the Building Designers Association of NSW. He’ll oversee the design and approval process and ensure that both you love the design and that there will be minimal to no Council issues. He is willing and able to answer any questions that you have. Our Central Coast and North Sydney clients will be looked after by Luzette who has recently joined Plan Vision and will be working from the Erina area. Luzette has extensive experience in drafting and design working in her own business. We know you’ll enjoy working with her.